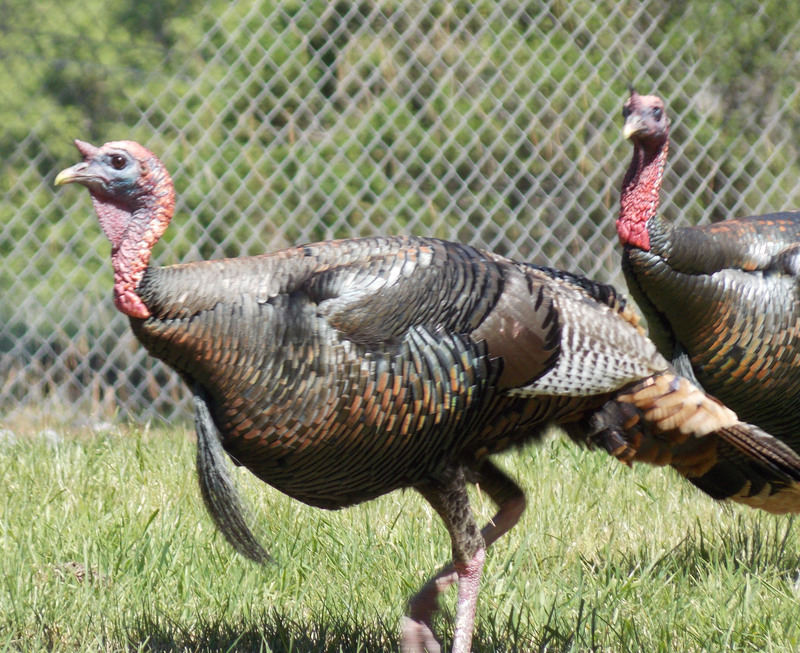 After finishing my hike this morning, I pulled out of the parking lot and ran smack into a large flock of turkey’s. 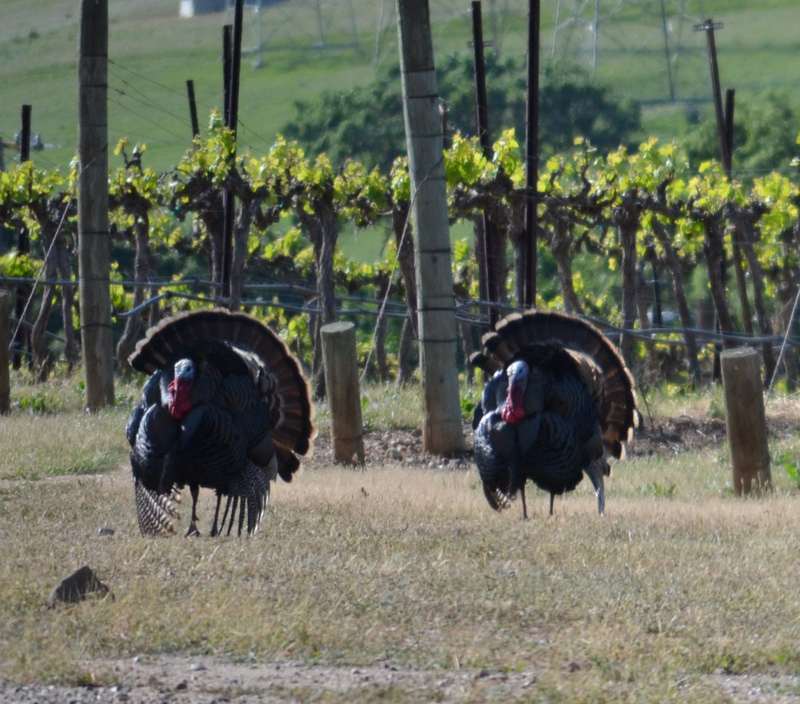 I pulled my binoculars out and examined the group. 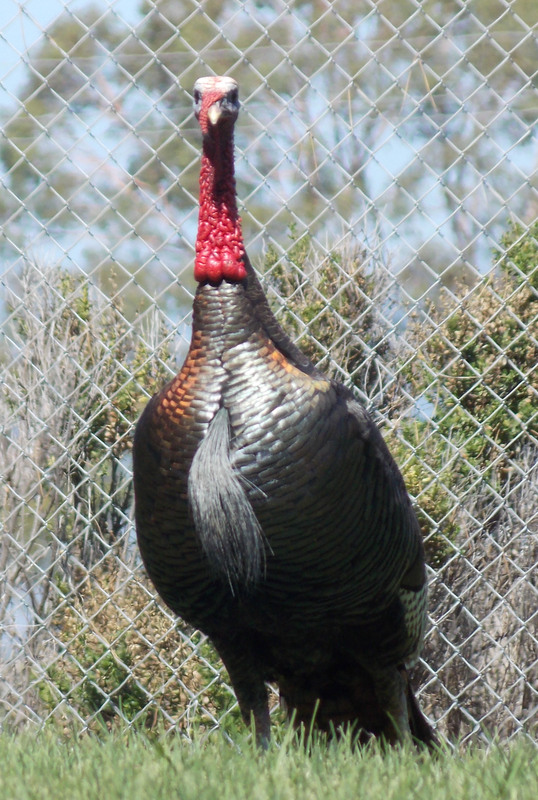 They were all gobblers and many of them were very old with long beards. I had only my cell phone for picture taking so I did the best I could. Most of them are in this photo. 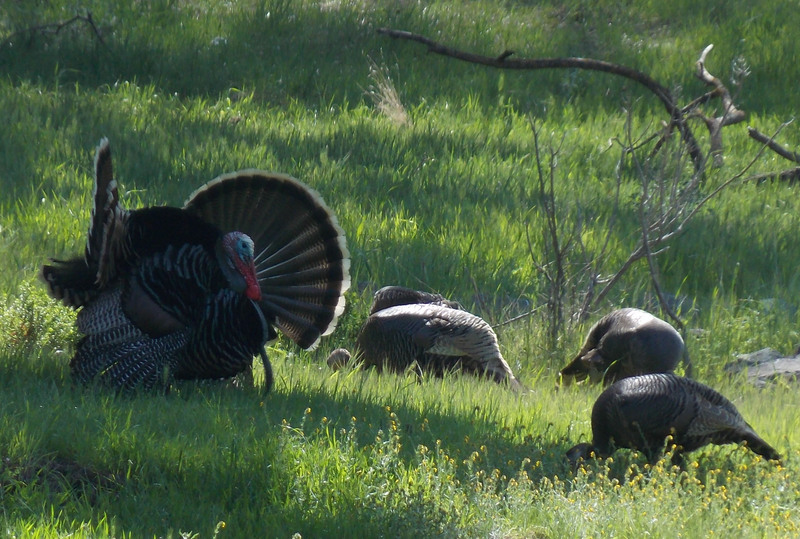 I counted at least 24 gobblers in this flock. 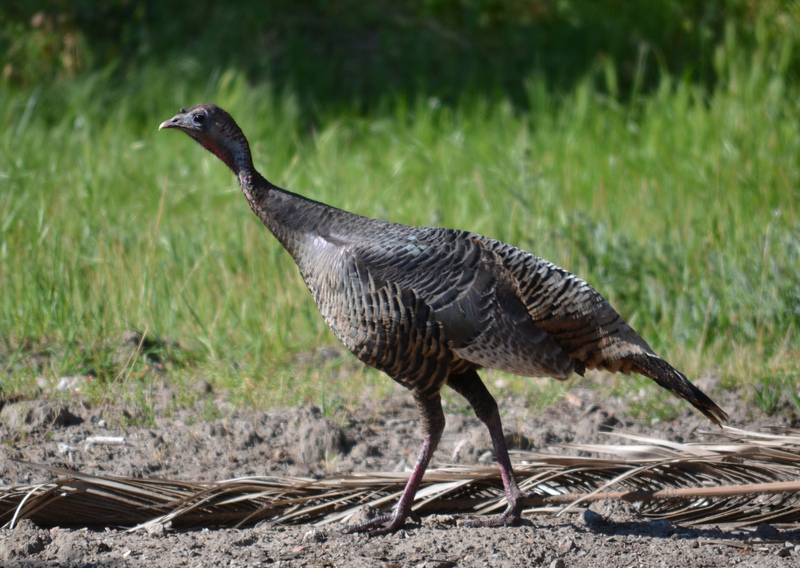 While walking this morning, I found some turkey feathers in the trail. Wondered why. 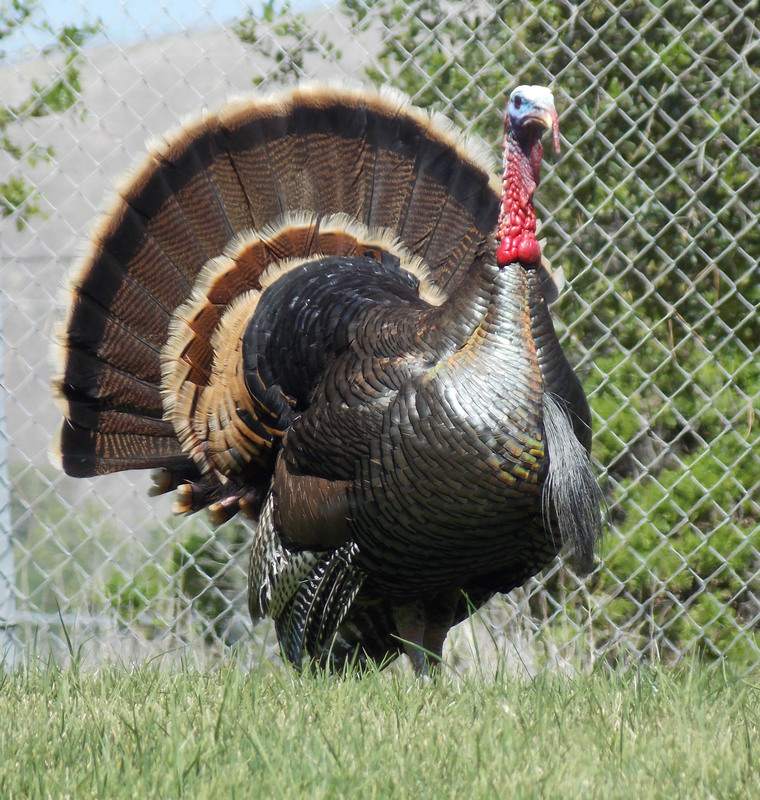 Suddenly I heard a turkey putt. Lola had found them and they lifted off into the oak trees above me. Got a short video of them. 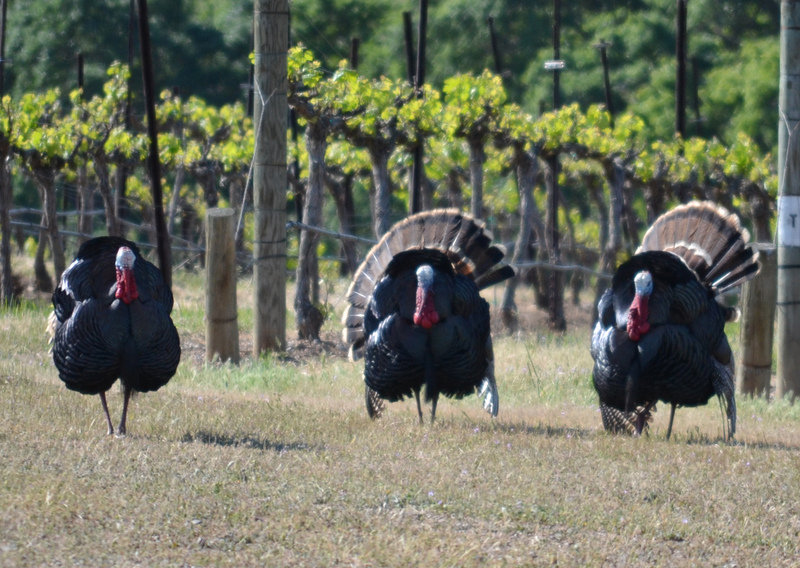 This is an excited flock of turkeys. 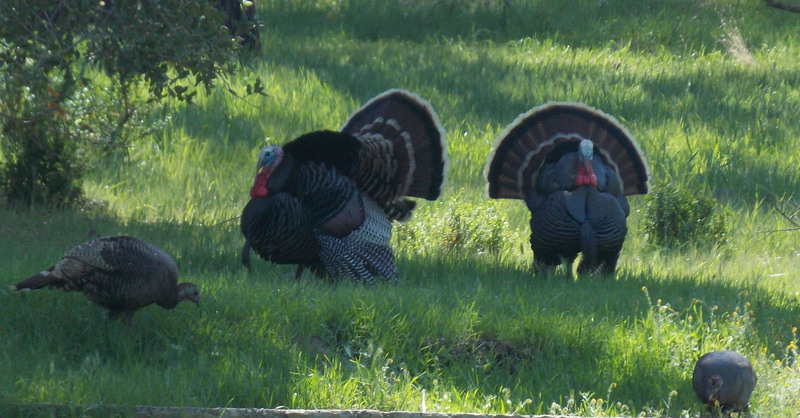 Once again the turkeys are doing there thing. 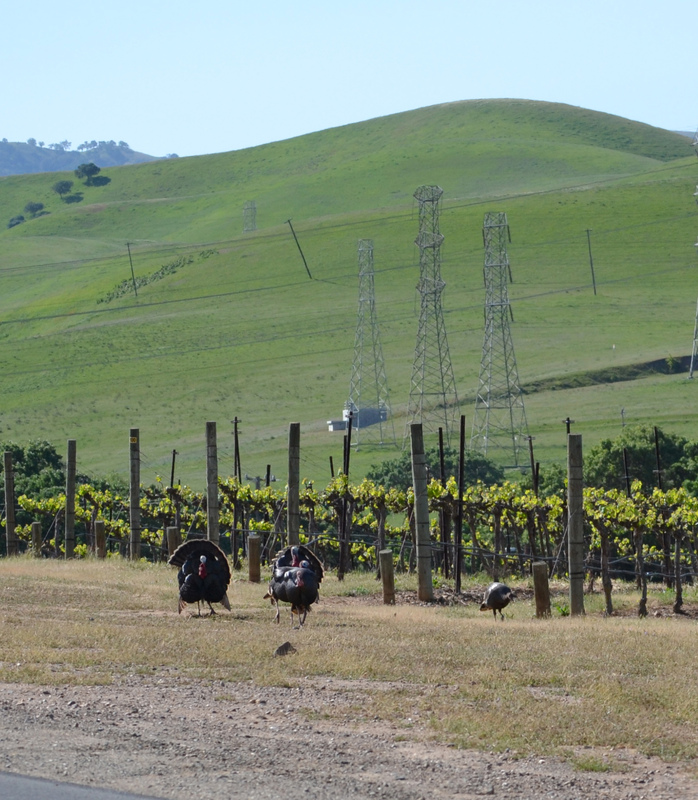 Drove the vineyards this morning and found a few birds along the edges of the vineyards south of town. Here are a few of them. Here is where I found them. Not far off Vallecitos Road. 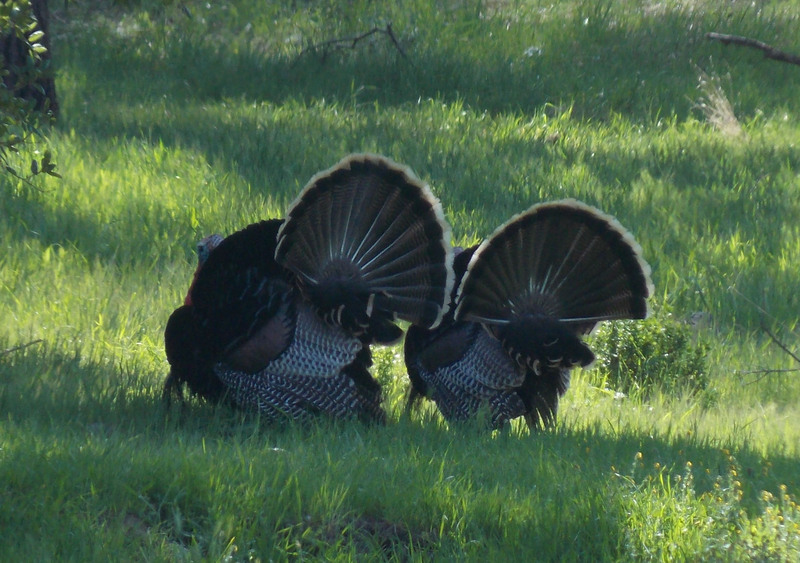 These guys were mimicking each other. 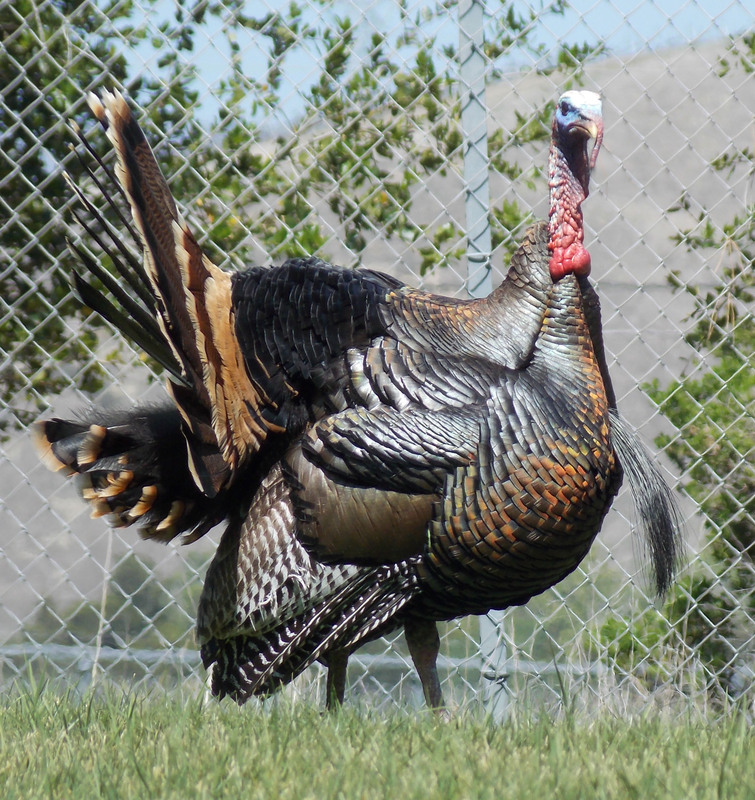 Photographed this hen earlier at the VA hospital. This guy couldn’t figure out where the hen was. 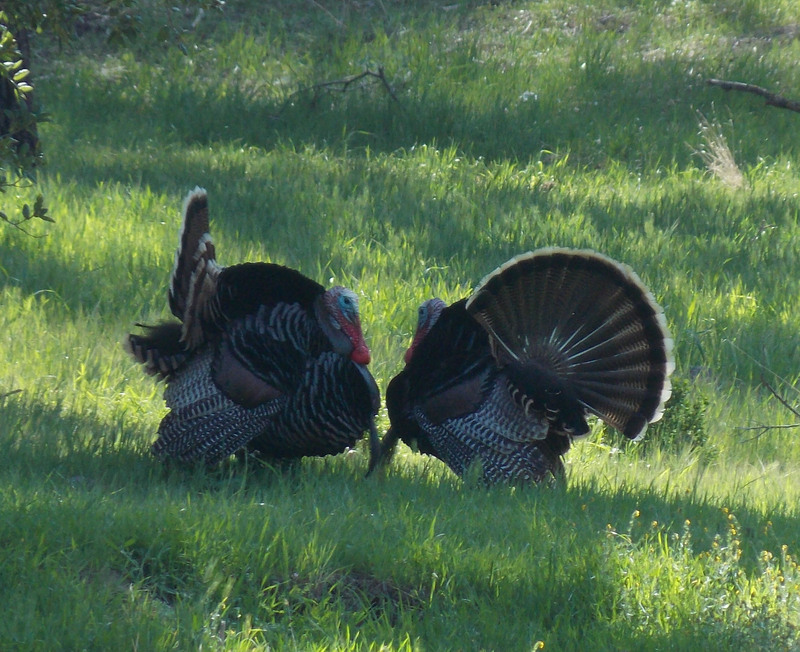 This is a face off. You take the one on the left. 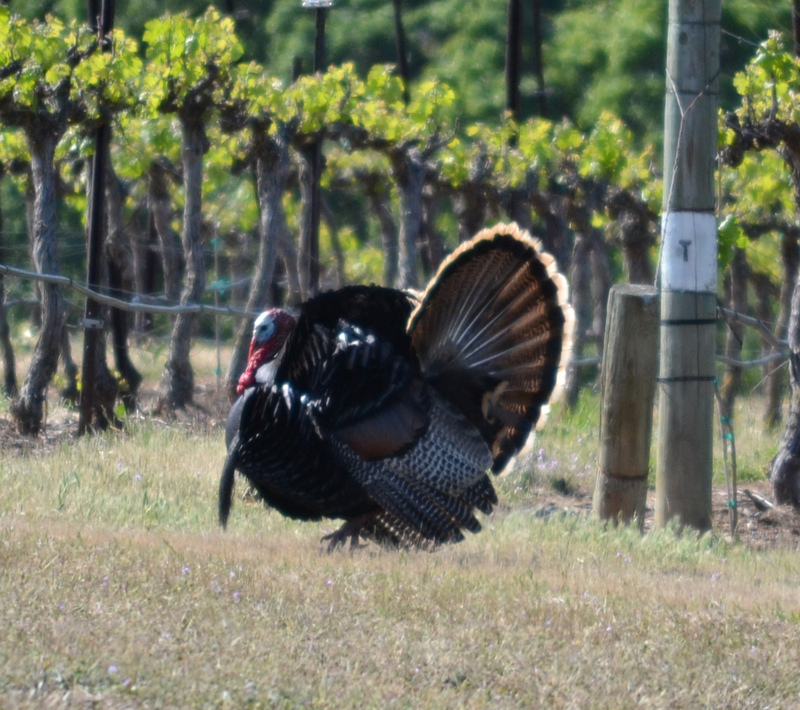 Here's a vineyard turkey in full strut. 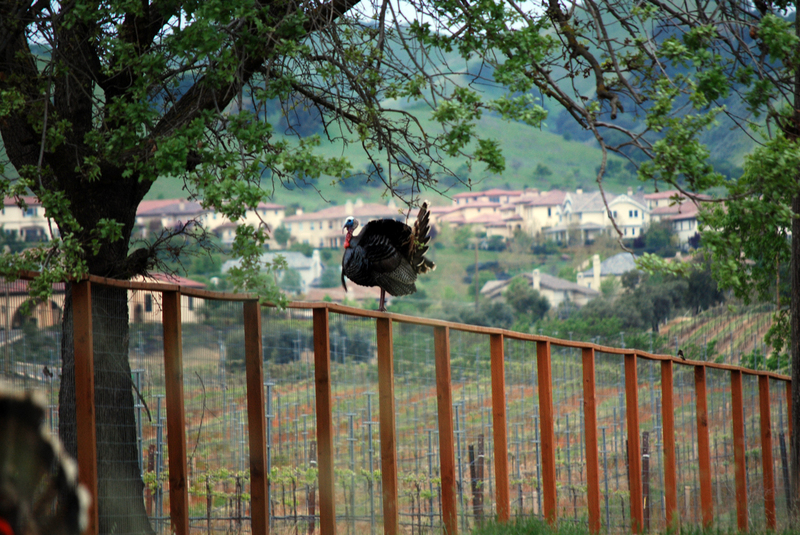 Here’s a gobbler that stopped on a vineyard fence to strut his stuff. 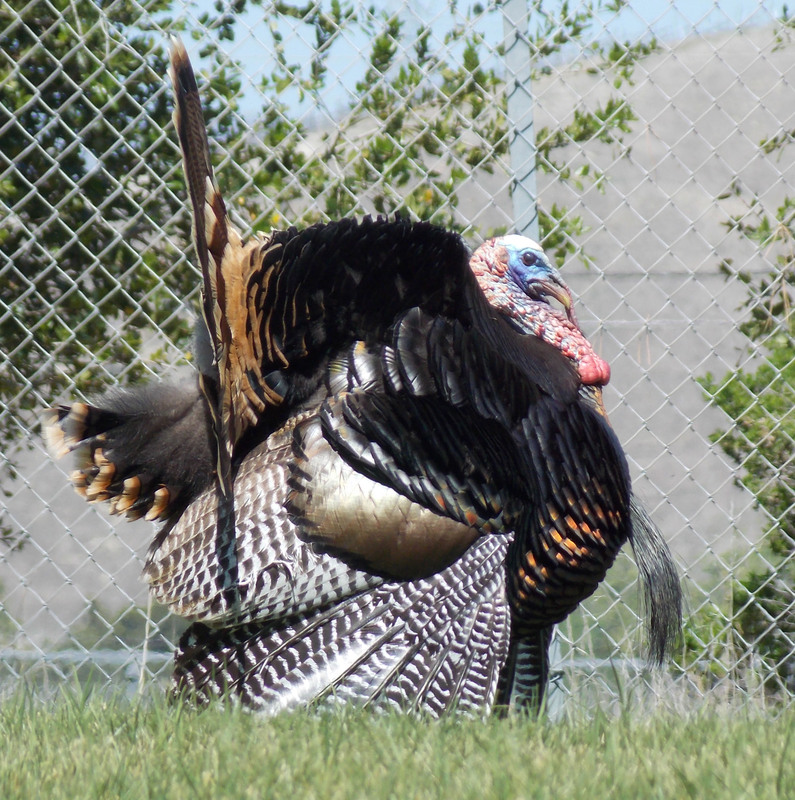 Turkeys are active, but following hens which often makes them difficult to attract. Click to get a close up view of him and the nearby black phoebe. 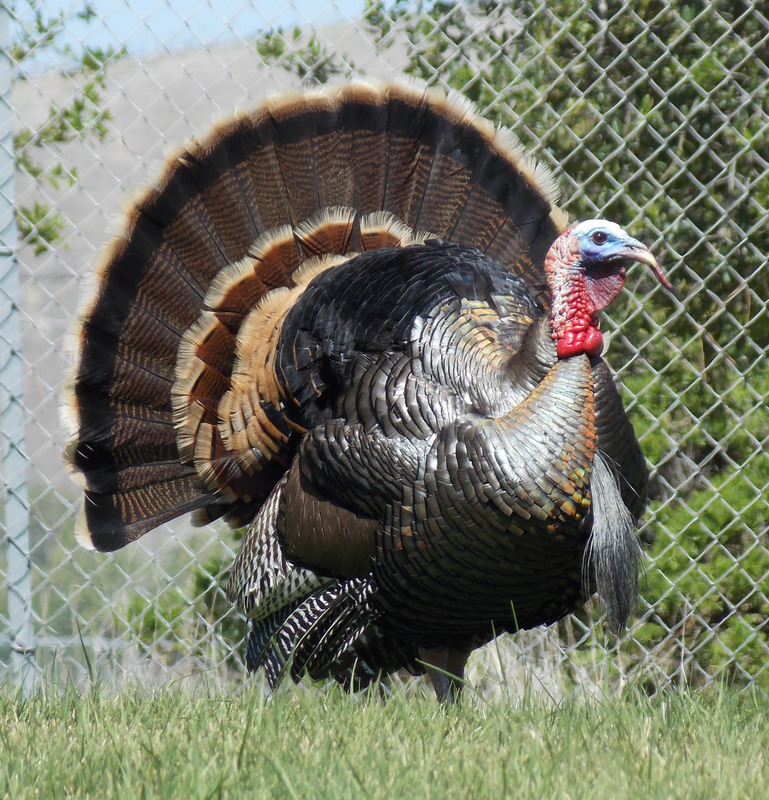 This time of the year, hens are receptive to the toms and will lay one fertilized egg each day until they have completed their clutch, which is normally about a dozen eggs. Once the eggs are laid, the hen will set on the eggs and incubate them. With luck, the polts will hatch out in about 30 days. By beginning incubation at the same time, the eggs will hatch nearly simultaneously. 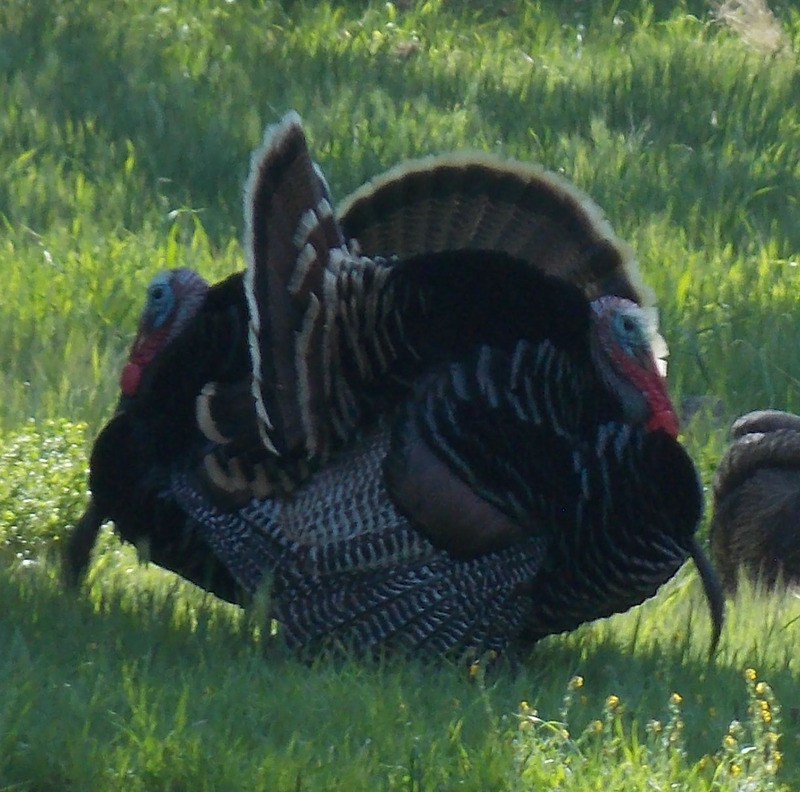 When, in another week or two, when the hens begin to sit on eggs, the unsatisfied toms will become more vulnerable to hunter’s calls and decoys.